When you are in search of a new or pre-owned Hyundai for sale or professional auto maintenance for your current car near Bethlehem, PA, turn to Lehigh Valley Hyundai. As a full-service dealer located nearby in Emmaus, drivers from Bethlehem are never far from obtaining the high level of customer service they deserve. We invite you to shop our dealership's many automotive services online now, then visit us from nearby Bethlehem for a test drive of a new Hyundai or to obtain genuine Hyundai parts for your vehicle. How would you like to show your visiting family or friends around Bethlehem, PA in a brand-new Hyundai? The latest lineup of Hyundai models are here in stock at Lehigh Valley Hyundai, ready for a test drive. 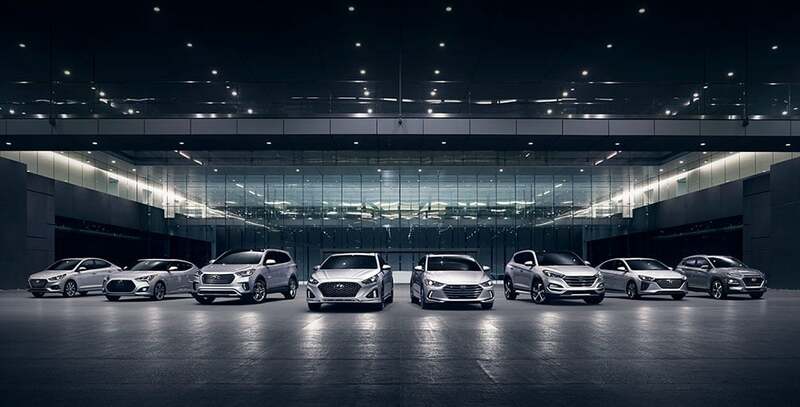 Let our Hyundai sales associates help you find the right Hyundai at the right price, whether that be a new Hyundai Tucson or a pre-owned Elantra or Sonata. Shop our online inventory now to secure your new Hyundai or used car at a competitive price! No matter if you opt for a brand-new Accord or a quality used car from Lehigh Valley Hyundai, know that our finance department is here to help you secure the auto loan you need to drive your new ride back to nearby Bethlehem or beyond. With our patient and understanding team of finance specialists, drivers with healthy credit or less than perfect credit scores can locate competitive financing options here. Use our website to apply for car loans right now; that way, you can get pre-qualified for financing when you visit for that test drive! If you drive a Hyundai near Bethlehem, Pennsylvania, take it to the Lehigh Valley Hyundai service center for its routine maintenance needs. Keeping up-to-date on your Hyundai's maintenance schedule will help promote trouble-free driving, maintain your car's resale value and protect your factory warranty. With Hyundai factory-trained technicians and genuine Hyundai parts on-site, why go anywhere else for Hyundai auto service or repairs near Bethlehem? Our team of dedicated Hyundai dealership staff welcomes you to shop and explore our many online services now before you visit our dealership and service center in Emmaus. Remember, for a full-service Hyundai dealership experience near Bethlehem, PA, count on Lehigh Valley Hyundai!